Family isn't always blood. It's the people in your life who want you in theirs; the ones who accept you for who you are-- the ones who would do anything to see you smile and who love you no matter what. The background is composed of a hand-dyed sky and crazy-pieced ground using batik fabrics. 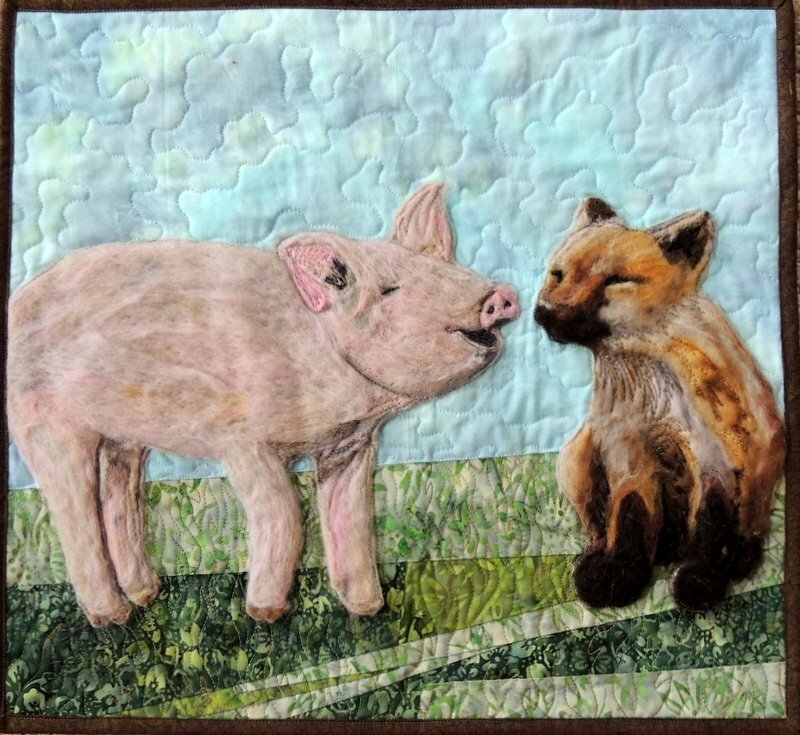 The pig and fox were both painted using multiple colors of wool roving needle felted together and then appliqued upon the background.